A young chef is making some noise at Del Frisco’s Grille, a sleek steakhouse, nestled among the busy shops on Lake Blvd. in Pasadena. Chef Angel Flores has mastered the steak, but has worked with creating a menu offering a gourmet selection of creative, amped up American comfort classics, like the earthy truffled mac & cheese and shaved Brussels sprouts. You’ll be able to taste his food at the upcoming East LA Meets Napa & Bordeaux tasting event on Friday, July 17 at Union Station. All proceeds benefit AltaMed HealthCare Corporation. 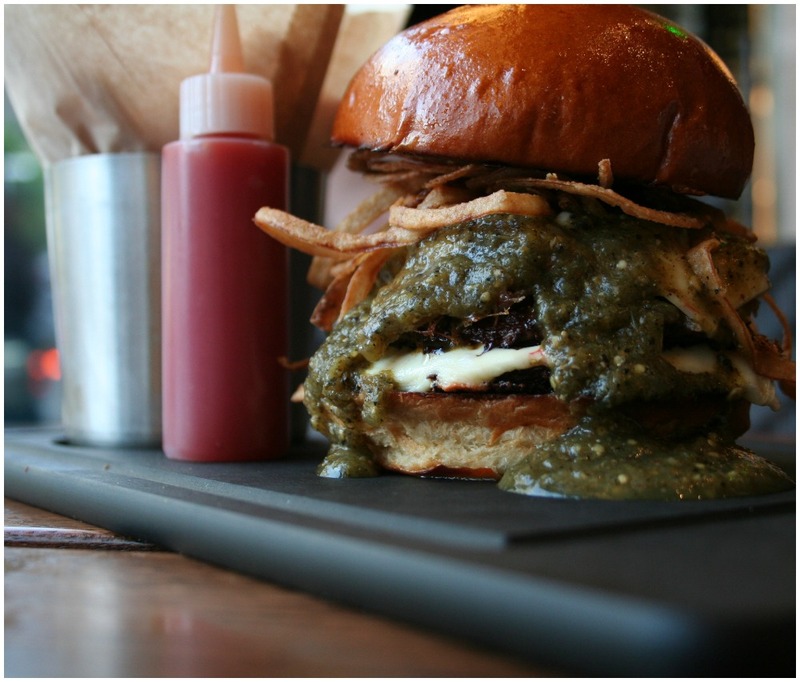 Back in April we were invited to try a special burger for National Hamburger Month; a stacked green chile burger. 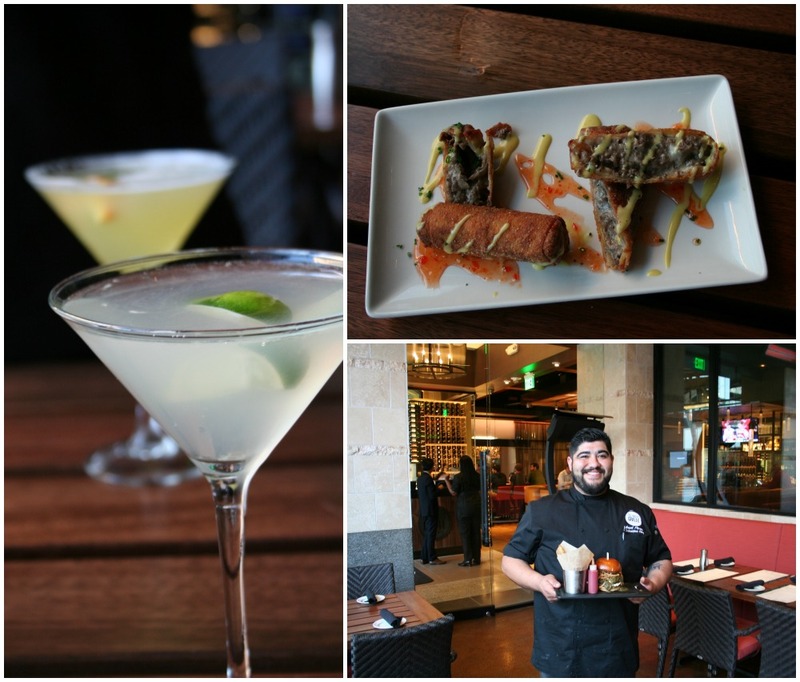 We returned for the Karma Tequila tasting & off-menu creations from the young Chef Flores, who graduated Le Cordon Bleu and grew up in East Los Angeles/Boyle Heights area. 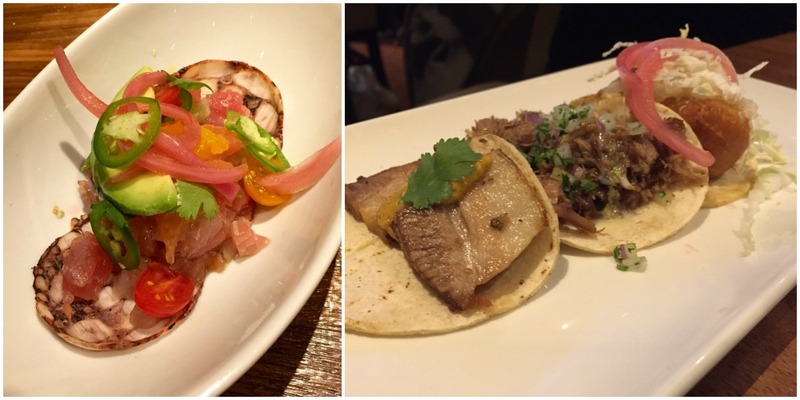 His chef-inspired menu was masterfully paired with Karma tequila. All of it off-the-charts-delicious. Karma Tequila is an award-winning, ultra-premium tequila made from 100% Weber Blue Agave. 40 agave pinas go into each bottle. Karma uses pure well water and blends double and triple distilled tequila for a smooth finish. So where does the flavor come from? Beyond the Silver, the tequila is aged in Heaven Hill bourbon barrels. The Reposado gets over a year and the Anejo gets three years to soak up the barrels’ flavor. So you’re left with a Silver that has an edge, a Reposado that is smooth and smoky, and an Anejo with stronger bourbon flavor notes like caramel, tobacco and leather. With the Karma flowing, Chef Angel Flores surprised us with a four-course tasting menu, starting with Ceviche Crudo: mahi mahi, octopus and sashimi style wahoo with pickled onions, habanero and fresh citrus paired with Karma Silver. Course two was a taco trio sampler: confit duck with cajeta, Baja styled fish and pork belly with chile de arbol salsa served alongside the Karma Reposado. 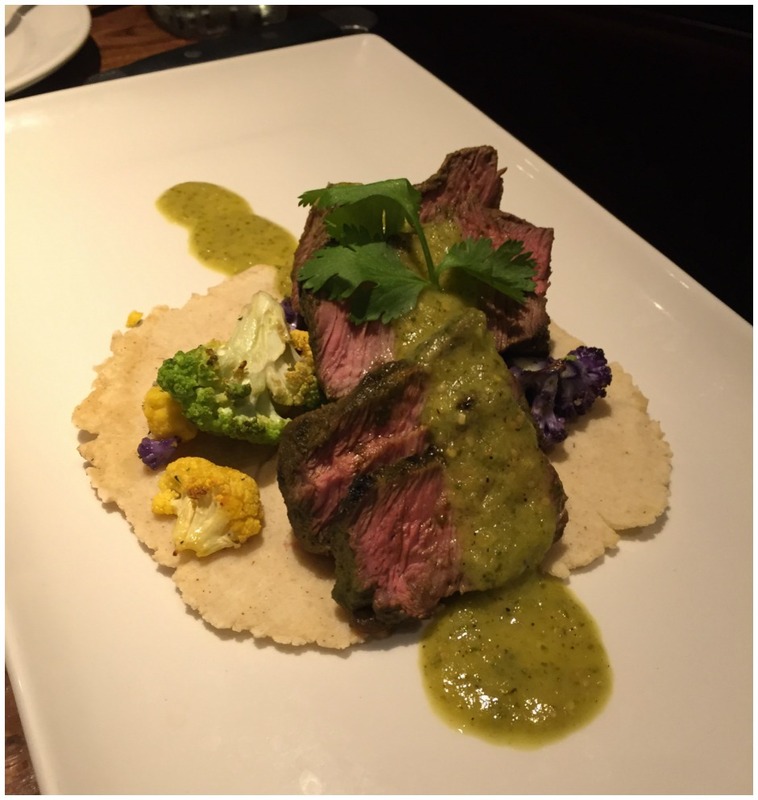 The third course was a deceptively simple, but delicious Flat Iron Asada: grilled flat iron that was marinated in cumin, cilantro and lime, served with a vibrant tomatillo salsa and roasted cauliflower on the most delicious handmade corn tortillas. The asada could only be served with the Karma Añejo. By dessert we had commandeered a bottle of Karma Añejo. Dessert was a masterful Tiramisu ala Abuelita: espresso dipped lady fingers with tequila liqueur, chocolate-cinnamon mousse with shaved Abuelita Chocolate. To top it off, Chef Angel made tiny concha cookies. Sounds easy but it was definitely the cherry on top. 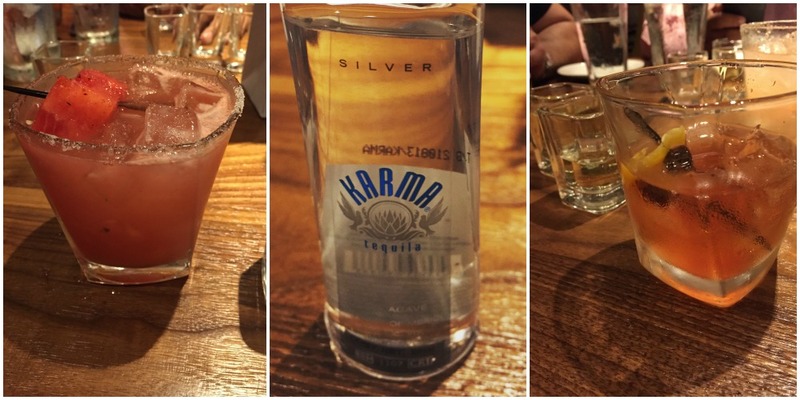 While the Karma Tequila tasting was truly a special event, Chef Angel is no slouch. That green chile burger we had for National Burger Month was killer. And though I am a huge fan of their gorgeous bar, particularly the Manhattans, their Old Fashioned is my drink of choice, especially when you get it with Karma Añejo Tequila. 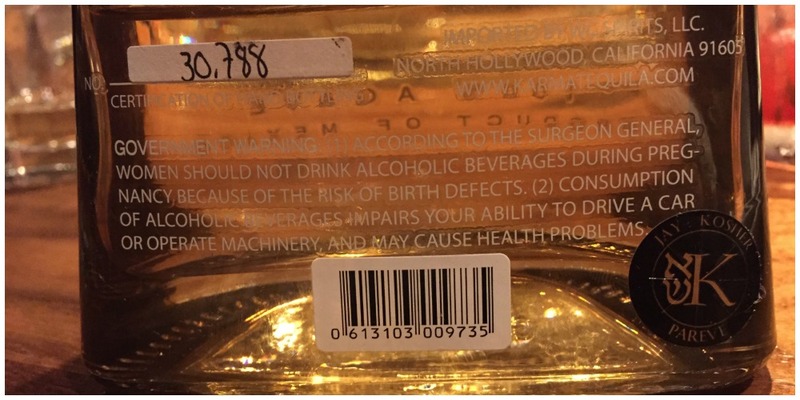 Did you know that each bottle of Karma Tequila is hand numbered? Celebrated my 60 th birthday at Del Frisco’s, it was awesome!! Chef Angel came out to wish me a Happy Birthday,I felt so special. So glad to hear you had a great time, Margaret. Chef Angel’s a sweetheart and talented chef.